Despite the two-state solution having been the UK’s stated policy aim for decades, consecutive governments have failed to back up their rhetoric with action. When Palestine made a huge plea for recognition at the UN general assembly in 2012, the coalition government actually abstained, placing the UK in the minority of nations who resisted the Palestinian push towards statehood. 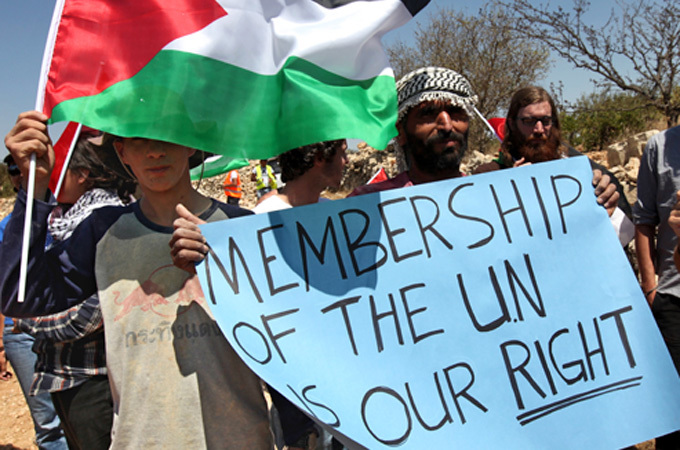 The UN also voted in 2012 to upgrade the Palestinian status from ‘Permanent Observer’ to ‘Non-Member Observer state”. Interestingly, the Labour party believe Palestine have all the attributes worthy of a state however do recognise the transformation will inevitably have political implications. Labour MP’s where whipped to vote in favour of the motion calling on the government to recognise Palestine as a state, while many liberals and some conservatives were also likely to back it. Not only will recognition help the Palestinian people to realise fundamental rights and freedoms, which have for too long been denied, but will help reinvigorate negotiations between Israel and Palestine. It can be said that some individuals such as British Parliamentarian David Burrowes believe that “The vote to look at a pre-emptive recognition of a Palestinian state, way before successful peace negotiations have been made, is not right”. And to a large extent it can be said his ideology is correct, it is questionable as to whether Britain should engage in other nations and their authority when peace amongst themselves has not actually been settled. On Monday 13th October, The House of Commons backed a motion by 274 votes to 12, although the decision will not decide government policy but Israel’s government said the vote could undermine the chances of peace by letting Palestinian leaders think they could evade the “tough choices” needed. However, the Labour MP bringing the motion said recognising statehood could be a “bridge” to negotiations. Current UK government policy is that it “reserves the right to recognise a Palestinian state bilaterally at the moment of our choosing and when it can best help bring about peace”.